Archive for the ‘Lanark Village’ Category. A magical fundraising event featuring a “moveable feast” of local foods. Guests circulate around the historic farm property from one delectable dish to another, all the while being entertained by summer music. Dress is country elegant. Visit our Barns Farms and Wicked Chefs Facebook group and join the Facebook event page to see past photos and get updates. This event has sold out in past years so get your tickets early. Tickets are $125 per person with a $95 tax receipt and are available from Tickets Please, (www.ticketsplease.ca), 39 Foster St., Perth. Alcohol sold separately. All proceeds from the event will go to support The Table Community Food Centre’s innovative programming. We are currently seeking event sponsors. A great opportunity to showcase your company’s values and commitment to the community. Contact Ramsey Hart at 613-267-6428, xt. 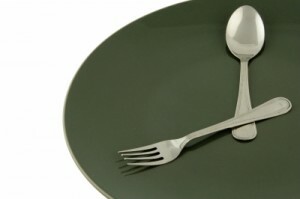 8 /ramsey[@]thetablecfc.org. Presented by the Township of Lanark Highlands, 10 a.m. to 2 p.m., Clyde Memorial Park, Lanark Village. 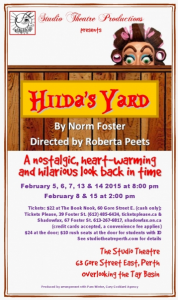 Hilda’s Yard, opening February 5th at the Studio Theatre, is vintage Foster. Set in 1956, it’s the story of Sam and Hilda Fluck (yes, Fluck) who find themselves blessedly alone after their children, Gary and Janey, have finally flown the family nest. But alas, both kids turn out to be boomerangs, sailing back home faster than you can say lost job and failed marriage. Meanwhile, Sam Fluck may lose his own job because he took time off work to buy a TV set so he and Hilda can watch Gunsmoke, and son Gary is nervously hiding from a bookie to whom he owes money. Yup, this is vintage Foster alright…touching, a little silly, very funny, and loaded with situations any family (OK, most families) can relate to. Director Roberta Peets helms this wonderful show with a generous dollop of her own heart thrown in. She was attracted to Hilda’s Yard by its heart-warming characters and the nostalgic tug of the 1950s setting. Hilda’s Yard premieres at the fully accessible Studio Theatre, 63 Gore Street E. in Perth, on Thursday, February 5th, with performances February 5, 6, 7, 13, 14 at 8:00 pm, and February 8 and 15 at 2:00 pm. Regular tickets are $22 at The Book Nook, 60 Gore St. E. (cash only); Tickets Please, 39 Foster St. (613-485-6434;ticketsplease.ca; credit cards accepted, a convenience fee applies) and Shadowfax, 67 Foster St. (613-267-6817; shadowfax.on.ca; credit cards accepted, a convenience fee applies). Tickets are $24 at the door, and students with ID pay just $10 at the door on show nights. 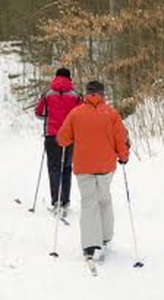 The date set for the Loppet this season is Sunday, February 8, 2015. Back this year by popular demand is our “Cookie Race”, a 2.5 and 5 Km freestyle race for youth and the young at heart. The lopet takes place at Murphys Point Provincial Park. 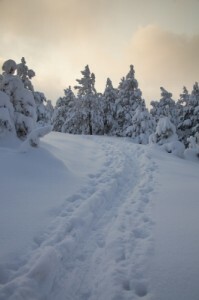 Sign up for the Loppet at the Tay Valley Ski Clubs website. Join us at the North Lanark Regional Museum in Appleton on January 25th, 2015 for our annual Scottish Tea. Enjoy light refreshments of tea, coffee, scones, and shortbread with musical entertainment provided by Moe Aller on the Bagpipes and Larry Lunney o n the Keyboard. Tickets are $5.00 at the door. The event starts at 2:00pm and runs to 4:00pm. A great chance to catch up with old friends and neighbours, or to have a visit with family. This event supports the fundraising efforts of the North Lanark Regional Museum and the North Lanark Historical Society which are devoted to collecting, preserving, researching, educating about and displaying the history of Mississippi Mills. For further information, please call Sarah (Project Coordinator) at 613-257-8503 or appletonmuseum@hotmail.com. Or contact Doreen (Museum Manager) at 613-256-2866. 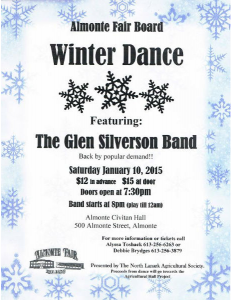 Get set to kick up your heels on Saturday, Jan. 10 as the Almonte Fair Board hosts a Winter Dance featuring The Glen Silverson Band, back by popular demand! Doors open at the Almonte Civitan Hall (500 Almonte St.) at 7:30 p.m. and the band starts at 8 p.m., finishing at midnight. Tickets are $12 in advance or $15 at the door. Proceeds from the dance go towards the Agricultural Hall Project. For more information or tickets contact Alyssa Toshack at 613-256-6263 or Debbie Brydges at 613-256-3879. December 31, 2014 dance in the New Year with the folks at the CIVITAN HALL, located on Hwy. #43 just east of Perth. They’re hosting a NEW YEAR’S EVE DANCE PARTY with music by EDDY & THE STINGRAYS from 9pm to 1am. Late night refreshments will be served. For tickets contact Carol Buchanan at 613-267-1475. Tickets are $25 each. The PERTH MANOR BOUTIQUE HOTEL & RECEPTION FACILITY will host a NEW YEAR’S EVE DINNER, Wednesday, December 31st, 2014. A six-course dinner with a champagne toast at midnight, cash bar, cocktails at 8pm; toast at 12am, closing at 12:30am. Reservations only – seating is limited. $75 per person plus HST and gratuity. Call the Manor at 613-264-0050 Ext. 2, or visit www.perthmanor.com.